During my absence, I received tons of wonderful emails, comments, and questions! I wanted to take the time to address some of those questions in one post. I’m in the process of putting together a post on this one, and it will include my own classroom procedures. Stay tuned! It’s called Rolina and it is available FOR FREE from dafont.com! (Since I use it SO frequently, I did donate to the creator.) You can find it here. Can I have a copy of your template for the Absent Binder/Sanity Saver/Yellow Sheet/etc.? All of my FREE templates are available to you! There is a link on the right sidebar that says LOOKING FOR FREE TEMPLATES? Click that image and it will take you to my Box.com account where you can get all that stuff! If you are looking for something more colorful or that uses funky fonts, you can check out my Teachers Pay Teachers store. 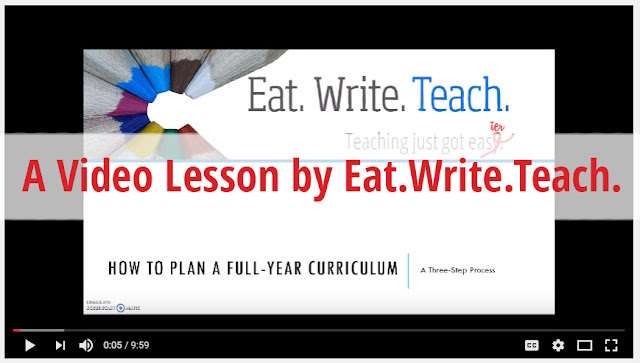 http://www.teacherspayteachers.com/Store/Eatwriteteach. I recommend the To-Do lists! I use them EVERY SINGLE DAY. Oh vocabulary, thou art as loathsome as a toad! I would say I made progress on the vocabulary front, but I have yet to achieve my goal of vocab lessons that are not tedious, boring, and useless. There’s a post coming soon about this! No, not exactly. My bell ringer procedure for 2013-2014 consisted of doing the daily vocab card (required work that did have to be made up), and then they did silent reading Mondays through Wednesdays and timed free writes on Thursday and Friday. I basically just had to keep an eye on them to make sure they were reading on reading days (and that reading ultimately culminated in quarterly projects anyway) and I rarely had to “babysit” on writing days because they loved doing free writes. Those free writes weren’t worth points, so absent students didn’t have to make them up.